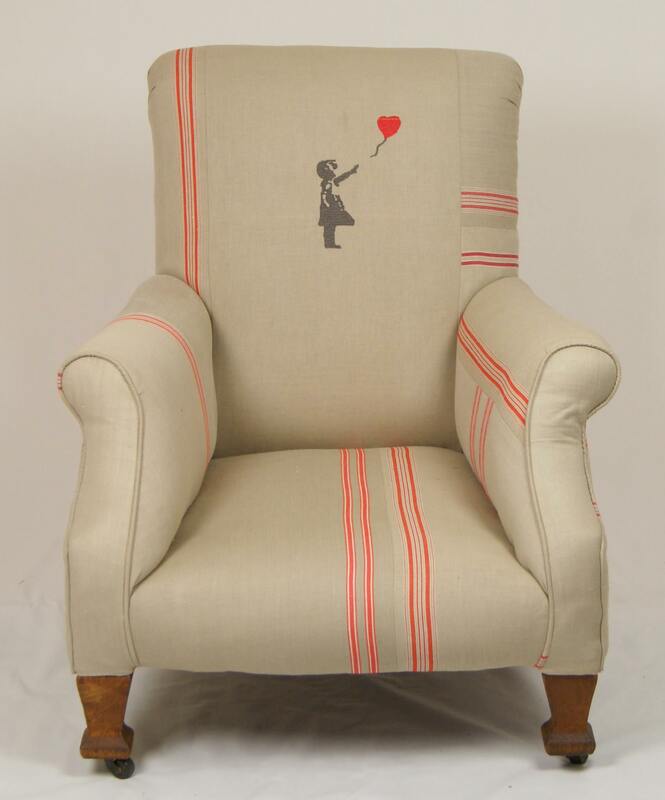 Kelly Swallow, who is best knows for her colourful patchwork chairs and beautiful upholstered furniture, has taken some inspiration from one of the UK’s best loved artists…the unknown Banksy. For those of you who came across his street art you will probably recognise the image at the centre of this design. This chair’s simple soft colours, make it very versatile and perfect for a cosy stylish home. Kelly Swallow’s Banksy chair. Photo courtesy of Kelly Swallow. Islington has it’s fair share of Banksy treasures, decorating the walls a number of buildings on Essex road. 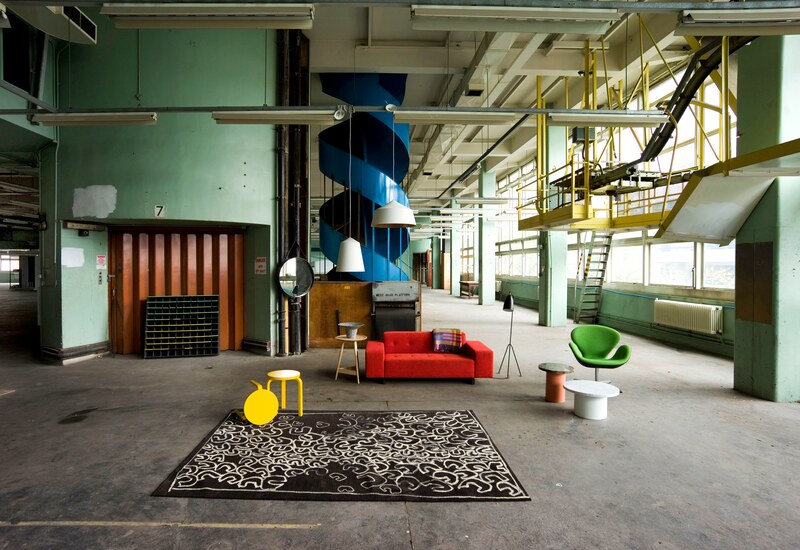 Who would have thought that street art and upholstered furniture would be so compatible. 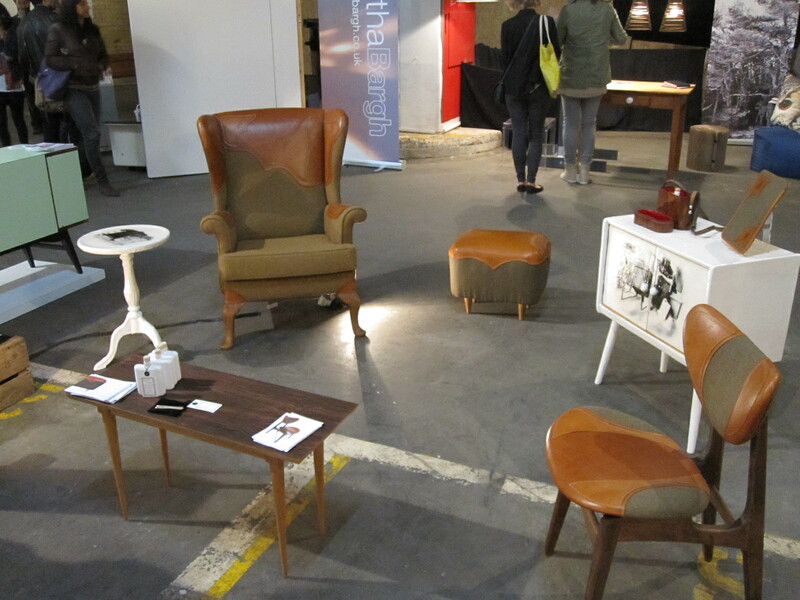 Last weekend I visited Design Junction as part of the London Design Festival in the old Sorting Office, a huge imposing building in Holborn. Inside there was a huge range of furniture and lighting on display, the exhibition was spread out over 3 floors allowing visitors to explore the huge number of designers displaying their work. 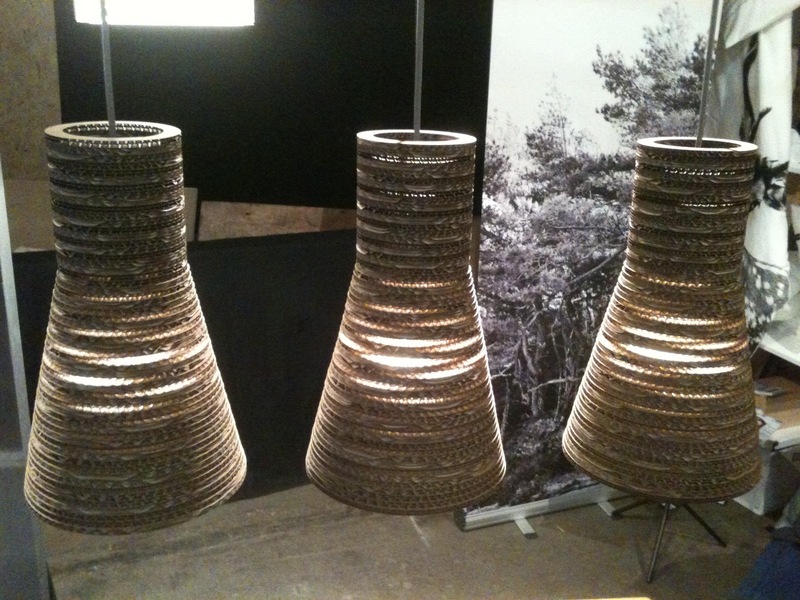 There were not many designers showing recycled furniture, however I did meet designers who incorporated a sustainable materials into their work such as Tabitha Bargh who makes lampshades from recycled cardboard and Alexena Cayless who reupholsters vintage furniture using local materials. The vast expanse showed remnants of the buildings past. 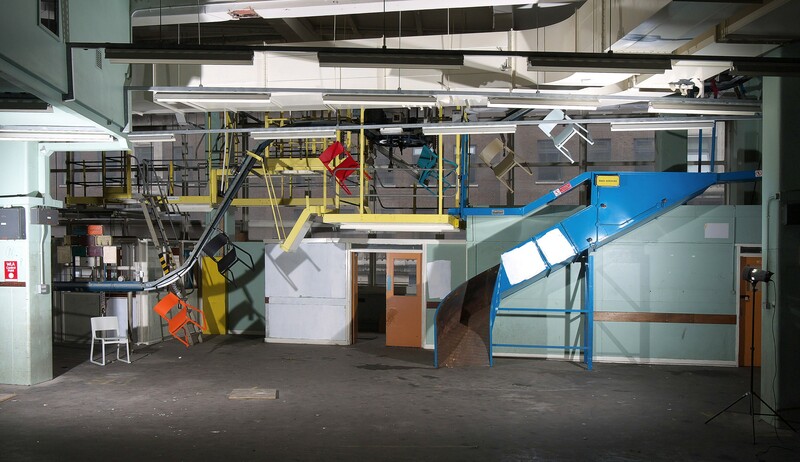 On the first floor old shoots and stairwells wound down from the ceiling like colourful steel sculptures. In amongst the design show were pieces of ‘happy art’ by Mr Brainwash a man made famous by the Banksy film. 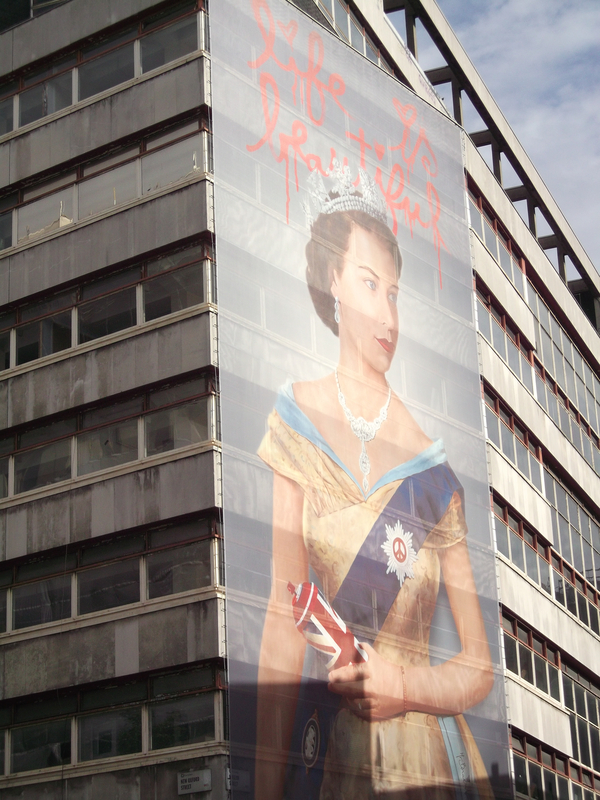 A huge gorilla loomed over some of the stands on the ground floor and the façade was covered in a coloured photo of Queen Elizabeth holding a spray can, as if she had painted the image herself.